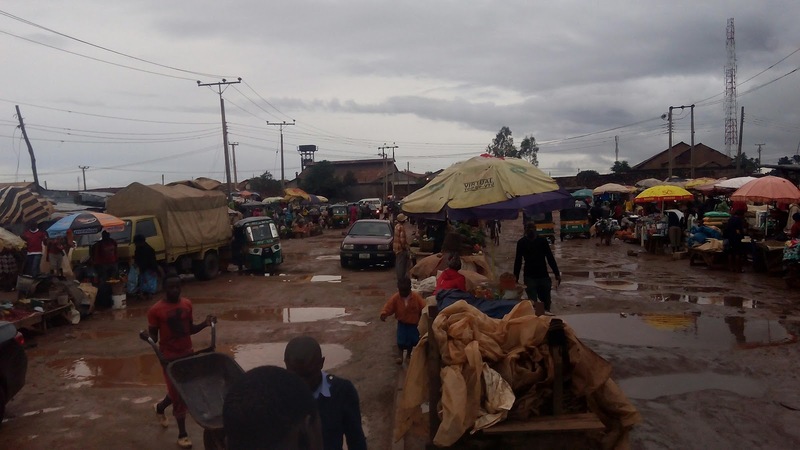 Kugiya market in Bukuru, south of Jos the Plateau state capital is gradually becoming one of the worst places to do business in the city. This is sequel to its horrifying road network which can best be likened to gutters. Motorists driving around the market often have to perform extraordinary maneuvers along the roads to avoid damaging their vehicles or those of others. 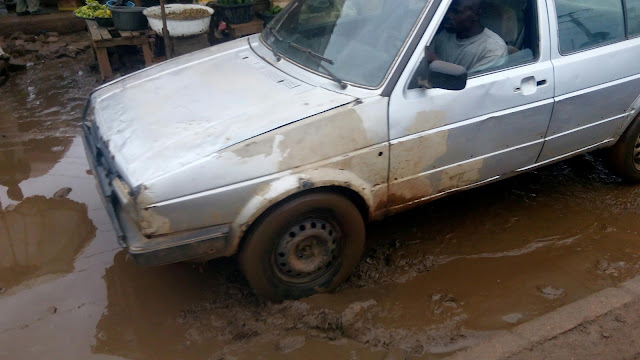 Most times, vehicles breakdown in the process of meandering between deadly potholes forcing passengers to alight in dirty mud waters. The roads linking Du, Zawang, Shen, Anguldi and the city centre had been awarded for construction by the Jang government. The contract was abandoned at the surface dressing stage. 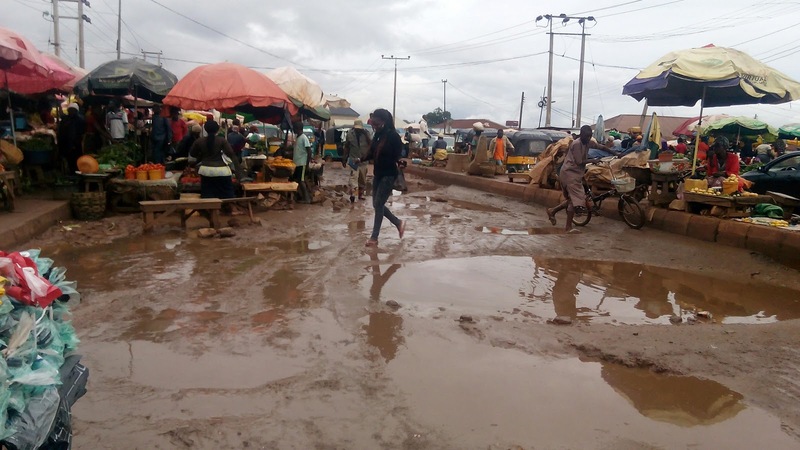 Work had resumed following the present governor's intervention on some of the roads during the early days of the new administration. It was however halted alongside other road projects in the state. The governor had reportedly taken loans to continue the projects in the state capital. 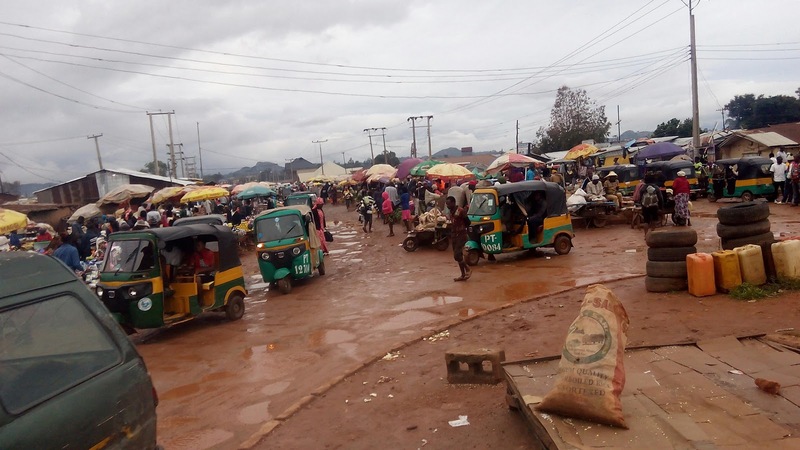 He was recently attacked on the issue in a media report credited to the mobilizer of Plateau Youth group, G-17, Musa Bagos. Gov. Lalong had during his 2nd anniversary media parley explained that most of the abandoned roads were started before approval. The contractors he said indicated interest when the state had no funds. According to him, when they were given assurances of considering their applications when funds arrived, they mobilized to site claiming they had funds to work with.